Seems like a vast majority of operating systems out there is running some form of popular open source software underneath with the obvious exception of Windows. Android is pure Linux, and so is Ubuntu, Fedora, Tizen (formerly MeeGO), Firefox OS and the likes. Mac OS is built on Darwin (which shares many components with FreeBSD), an open source POSIX-compliant computer operating system. Darwin forms the core set of components upon which OS X and iOS are based. And the list doesn't end there. 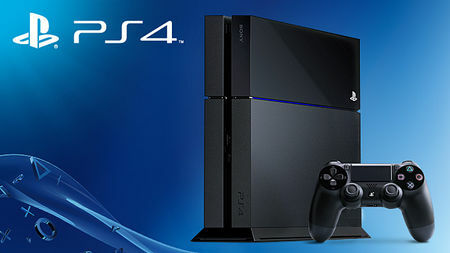 According to a recent reveal by VGleaks, the operating system at the heart of Sony's PlayStation 4 is FreeBSD 9.0. Though FreeBSD license is compatible with the GNU GPL, it has many important differences. For example, FreeBSD code can be modified and reused and can be released as a proprietary piece of software. On the other hand, conventional GNU GPL license does not allow the altering of licensing terms even though you are free to use and modify the software as such. Due to its permissive licensing terms, much of FreeBSD’s code base has become an integral part of operating systems such as Apple's OS X, eventhough OSX itself is proprietary. According to Phoronix, "operating system powering the PlayStation 4 is Orbis OS, which is a Sony spin of FreeBSD 9.0. It's not a huge surprise FreeBSD is being used over Linux, in part due to the more liberal licensing. It's a bit of a surprise to see FreeBSD being used though when at the heart of the Sony PS4 is an AMD eight-core APU with Radeon graphics." "There isn't a Catalyst driver available for any BSD operating system right now and the open-source driver ported from Linux with Radeon KMS and Gallium3D is still in a primitive state. Thus, Sony in cooperation with AMD must have developed their own graphics driver for the PlayStation 4 with FreeBSD or at least ported the Catalyst code-base to BSD."